Money Q&A: Can I get a refund from Jessops? Q: Help! How can I get a refund for a camera I bought from Jessops before Christmas? 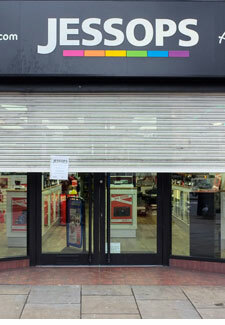 A: The news of photography chain Jessops’ recent closure will be bad news for both its employees and its former customers. The administrators Pricewaterhouse-Coopers (PwC), who were appointed in early January, confirmed last week that: ‘Jessops is no longer able to accept returned product from customers’. However, there are still ways to get your money back. If you paid by credit card and the item cost over £100, your credit card should refund you under Section 75 of the Consumer Credit Act. If you bought your item using a Mastercard or Visa debit card, you may be able to claim your money back via a chargeback service. To do this, you’ll need to contact your bank within 120 days (roughly four months) from the time you realised you may not receive your item, and ask the bank to start a chargeback for the amount of your purchase. Basically, this is the reversal of an earlier outbound transfer of funds from your bank account. If you have paid with cash, gift vouchers or a gift card, things get a bit more complicated. I would contact the administrators and you’ll also be added to the list of unsecured creditors, but be prepared to not get your money or the value back. My advice going forward is, wherever possible, buy on your credit card and then pay off the balance straight away. That way if the item is worth more than £100, you are covered for a definite refund and you won’t owe extra money by incurring interest charges.